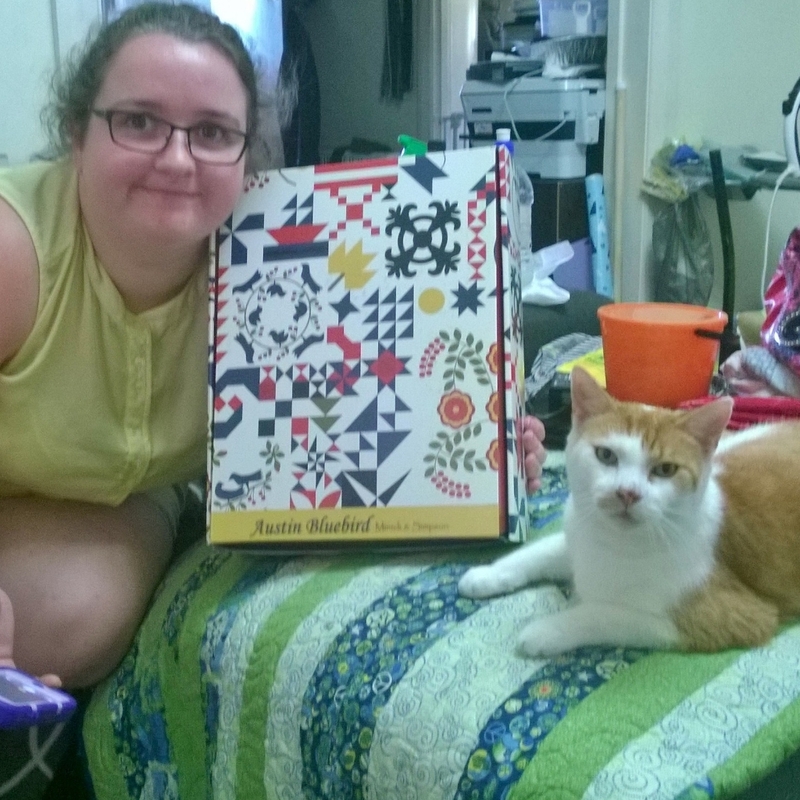 With being busy at work and trying to do some quilting and all the other things that come along with a busy lifestyle, I have been a very neglectful of my blog of late. 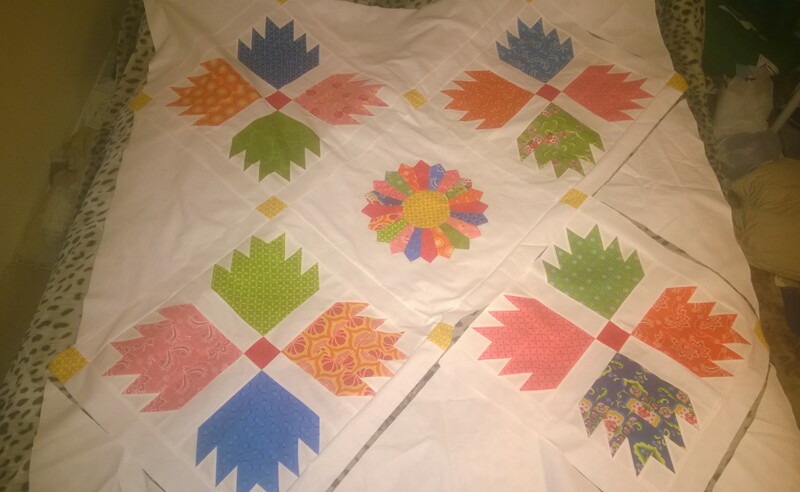 During this time, I have attempted to finished a number of quilt tops, which I was informed by someone (perhaps a family member), that had to be finished before starting any more quilts. So I finished about two and have almost finished another two tops. This only means that I can start work on a new quilt. 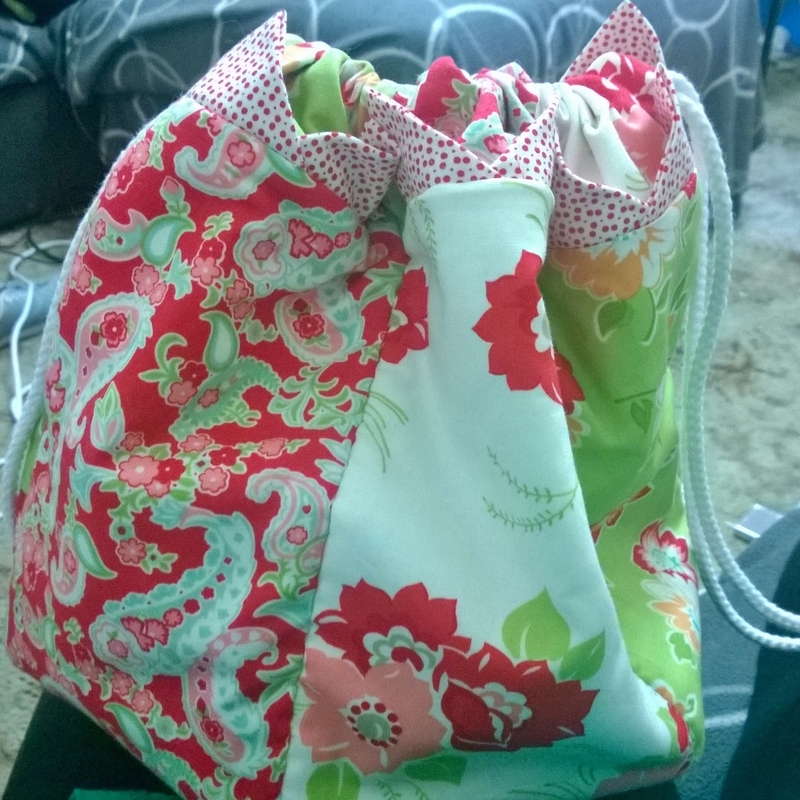 Last year, I had attended a workshop at WhateverWhereever, where I started on a quilt called Jugs and Broken Dishes. 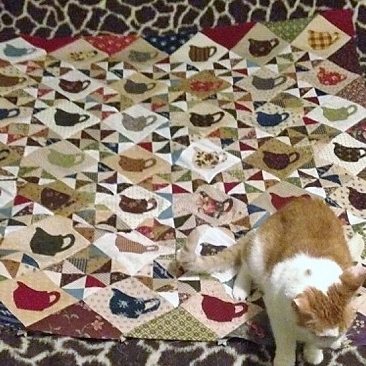 As I am so desperate to start another quilt, I set to work finishing the top of this quilt. 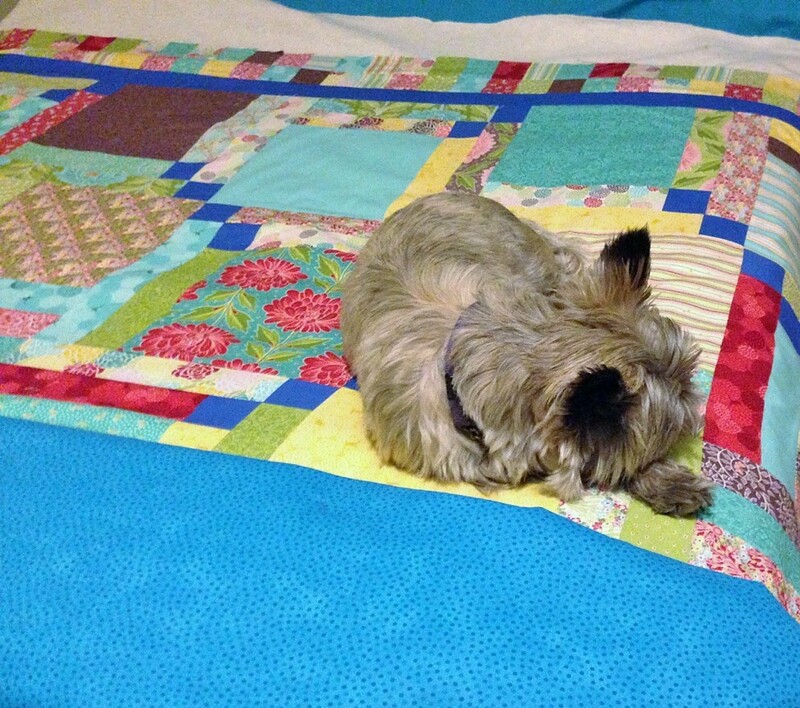 As with all quilts, I like to lay them on bed to make sure that I have them looking right. You know what I mean, so that same fabric isn’t next together or similar colours don’t sit next to each other. 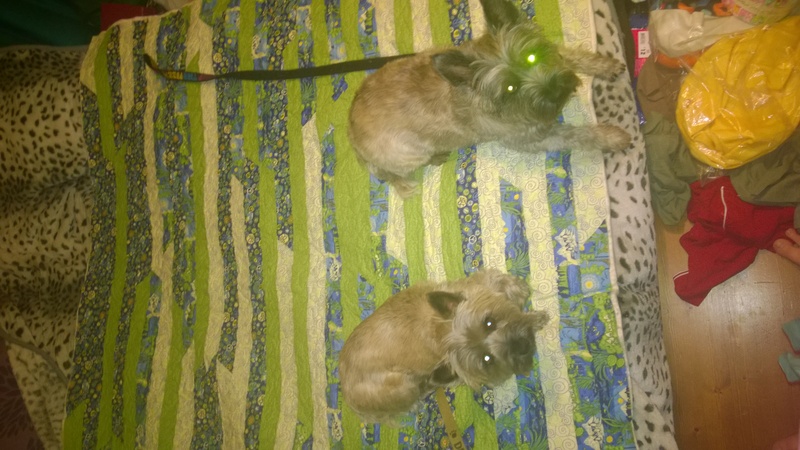 This can be a challenge for me, as I sometimes have unwanted help from my two dogs who just love laying on the quilt, whether it be finished or not. This time it was not my two dogs helping but the friendly ginger cat. The other advantage of laying the quilt out on bed it allows me to understand the finished size of the quilt. I grew up in a metric time and although I can convert metric to imperial measurements I do find it hard to picture the finished size of quilt. 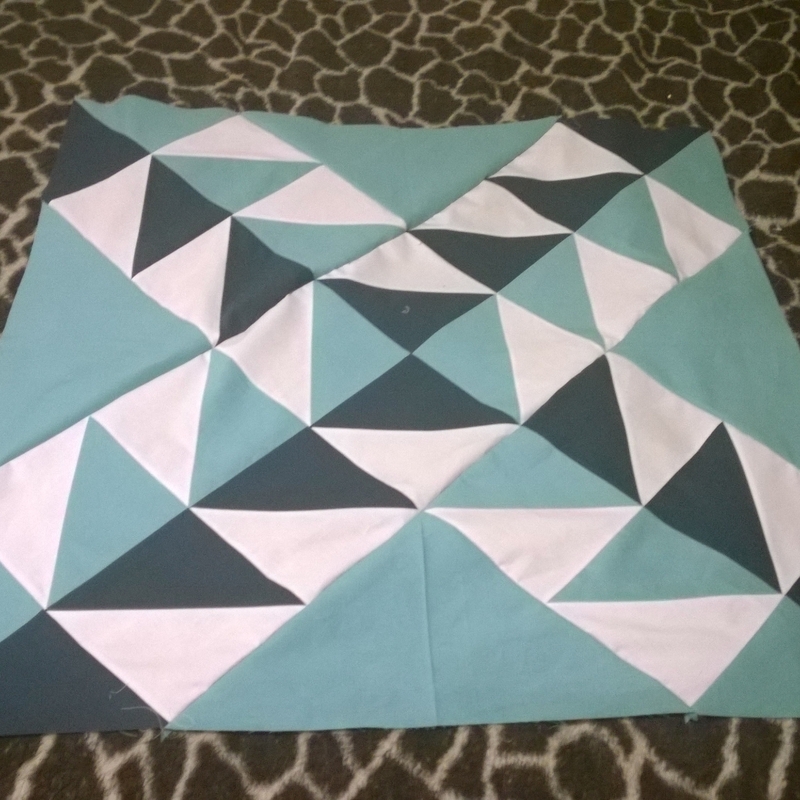 The next quilt I was determined to finish was a quilt that I was doing as a test project. That was my first and it turned out to be quit big. I added the two boarders and now I have another quilt top finished. The quilt was called Parade by The Aqua Umbrella. 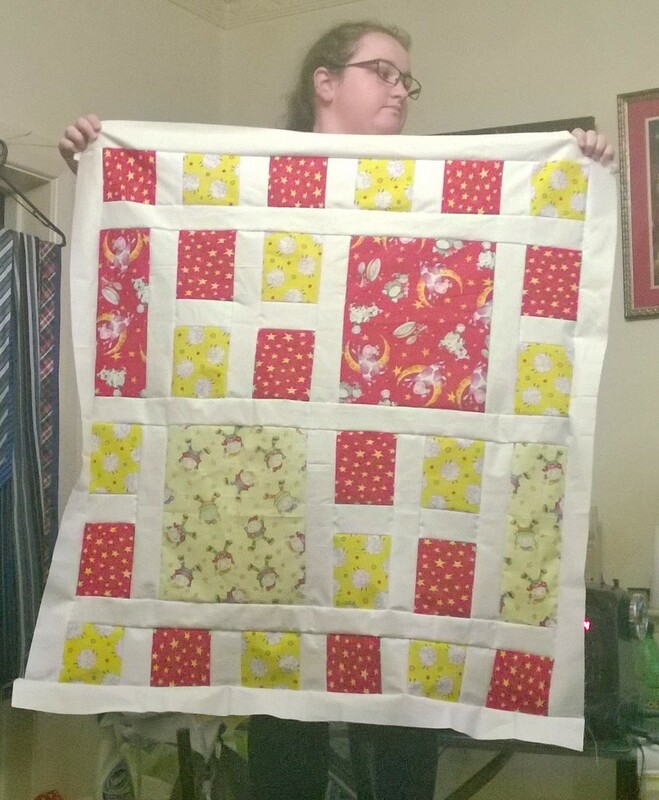 It has turned out very well and now just needs to be quilted and binded to finish it. I found the Dresden plate a challenge, especially trying to make it sit properly but once completed, it looked very nice. 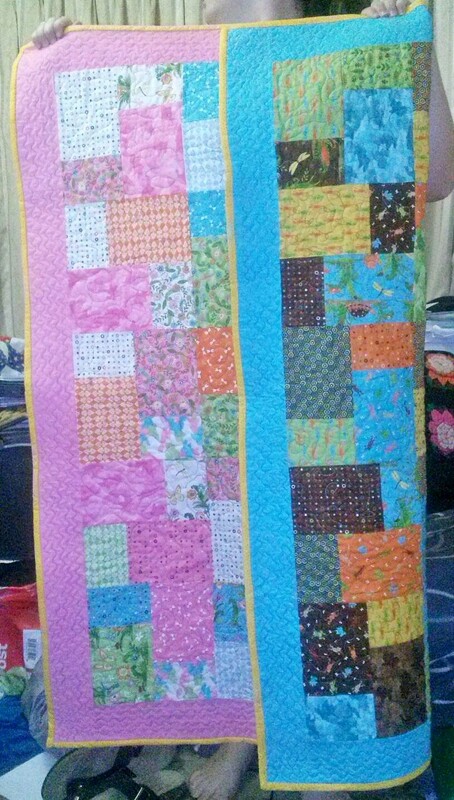 Oh, I don’t know if you remember the Jelly Roll Sampler quilt I was doing a while ago. 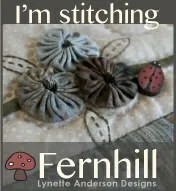 I used Persimmon by Basic Grunge in the jelly roll and the pattern was from Pam Lintott. Just loved it and it now has a lime border and grey sash around it. Yes another top done. 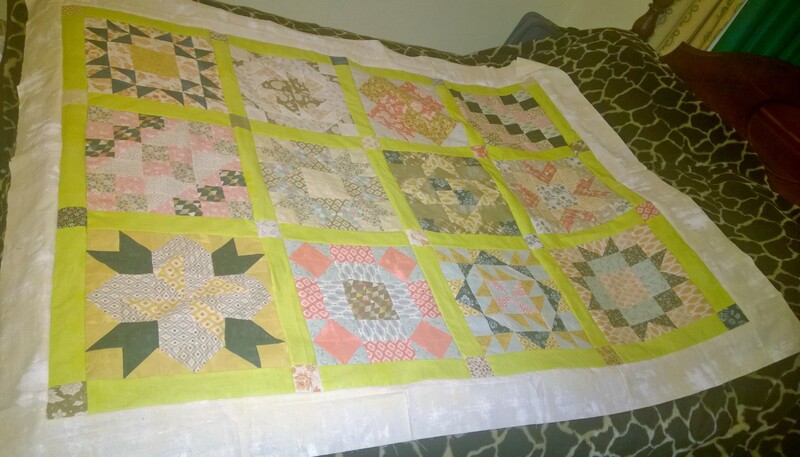 I completed another quilt too, this for a friend who was having their first baby. I used a range called Meadow – which came in a pink and blue range. Perfect for a baby wouldn’t you say. 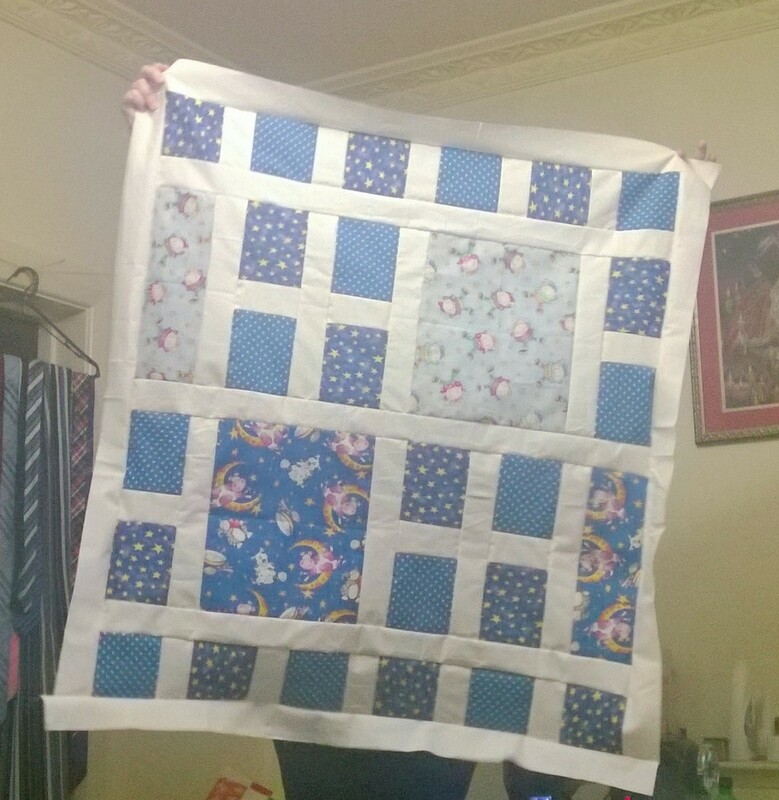 I used two layer cakes which gave me enough for two baby quilts out of the fabric. 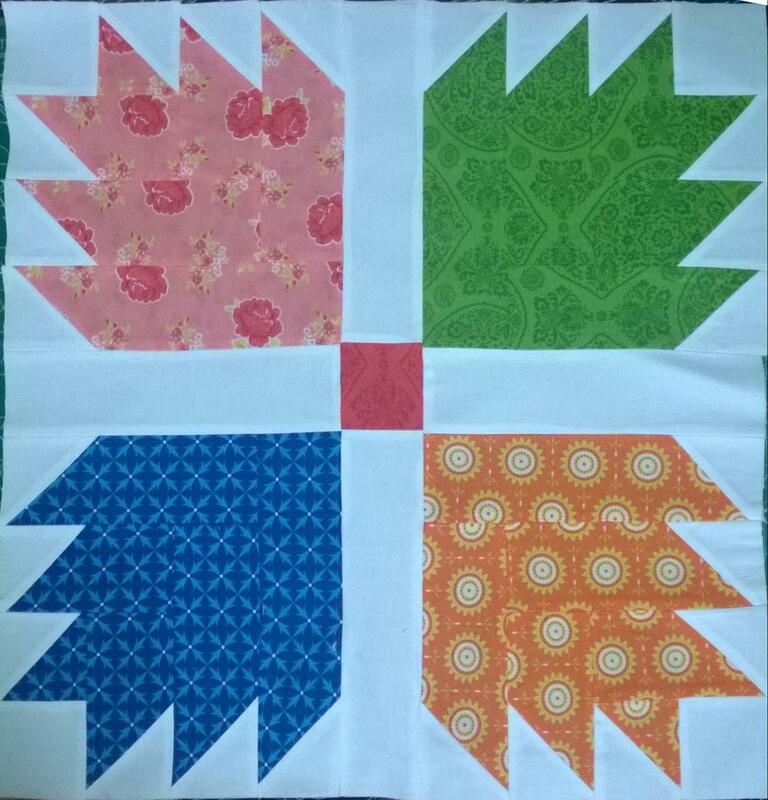 The second quilt will go to colleague at work who is also having her first baby. 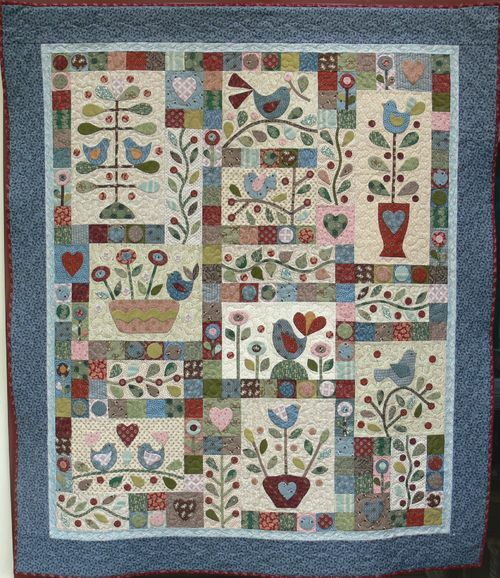 I love making quilts and giving them to new mothers as they are appreciated and are continually used. Another friend I gave a baby quilt to said that her quilt comes up beautifully once it has been washed after her babies have played on it, ate on it or been sick on it. 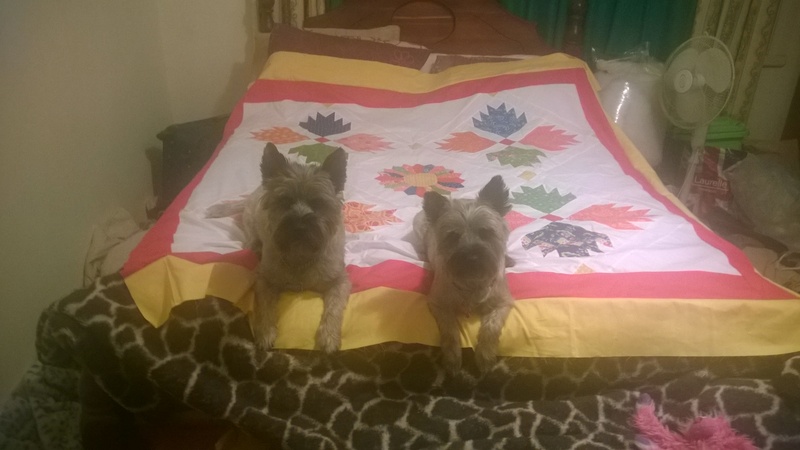 That makes me very happy to know that a quilt is loved and is being used. I have also been very lucky this few weeks. 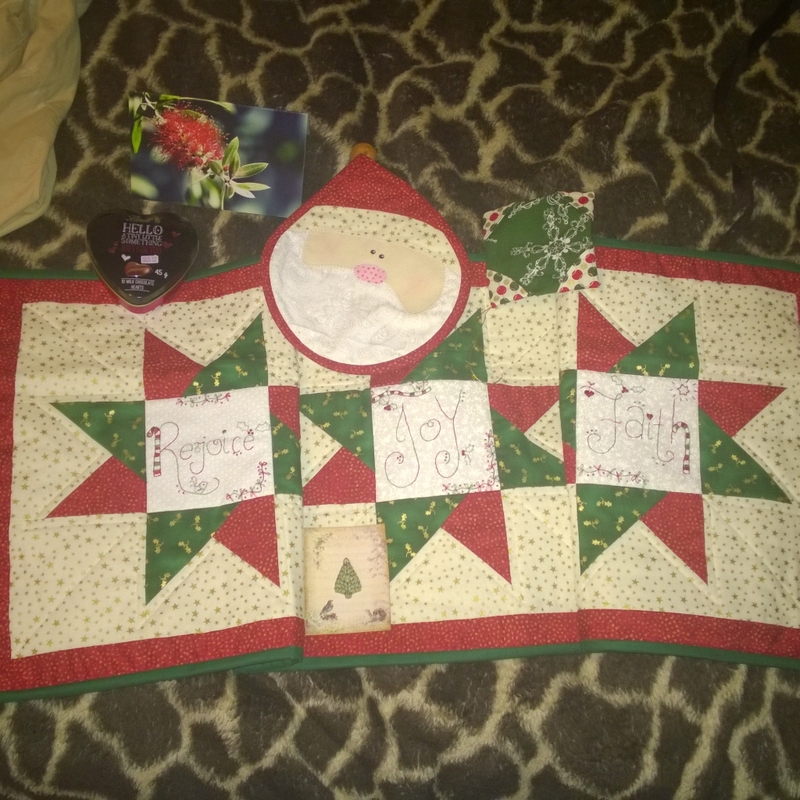 I entered my one of my daughters into a competition and well we SHE won a quilt kit. I don’t know if you have seen this one before but it is by Minick and Simpson and it is called Austin Bluebird. 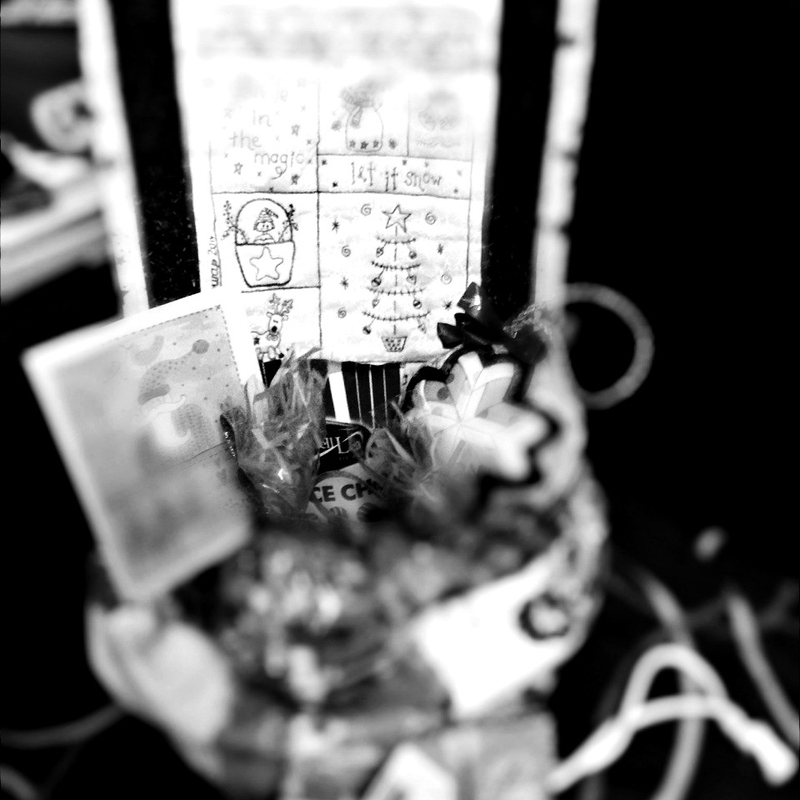 It is very lovely. 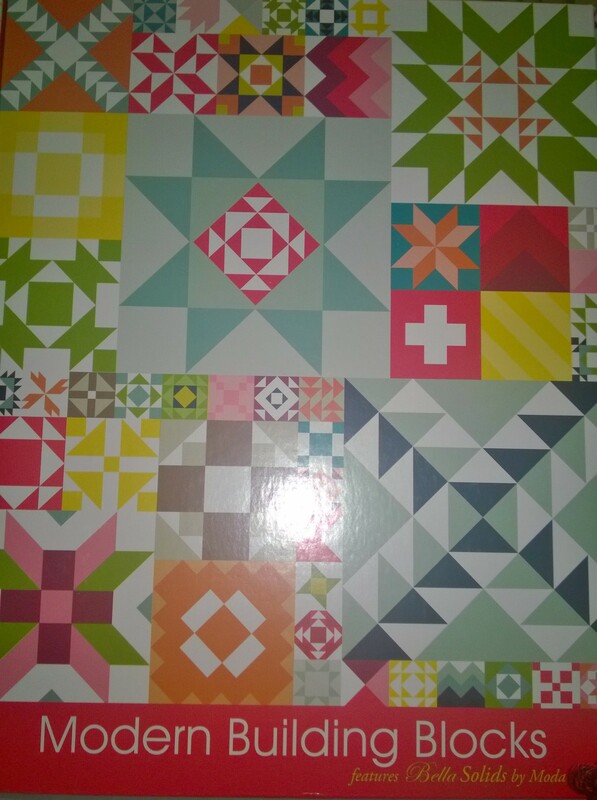 The quilt came in a kit and I must say it will be a lovely quilt when I start it. It has been over a month since I have spoken to you. 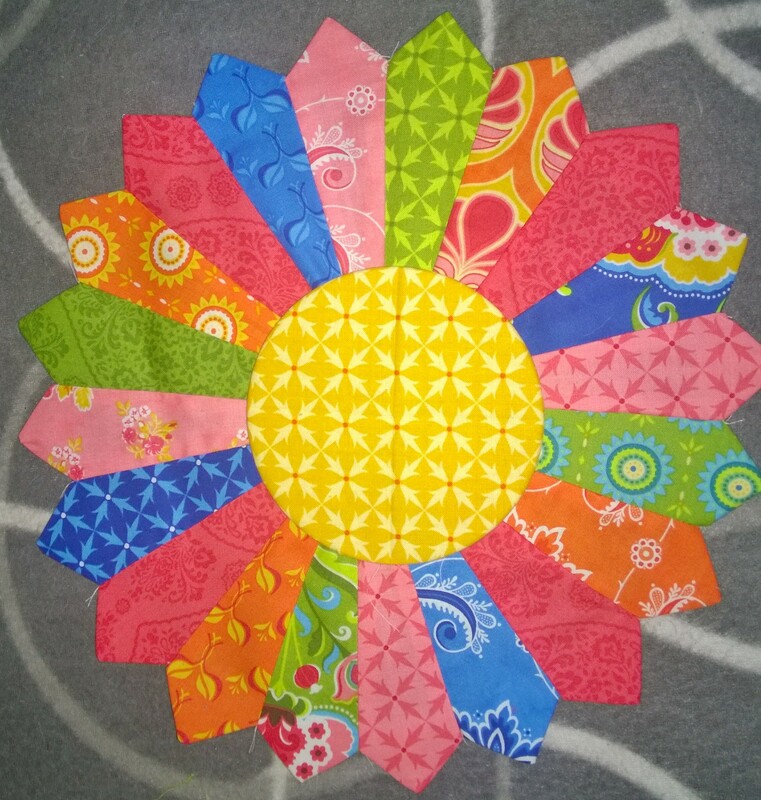 I’ve been busy with work but have found sometime to do quilting. I have been working on some projects and been doing some pattern testing. 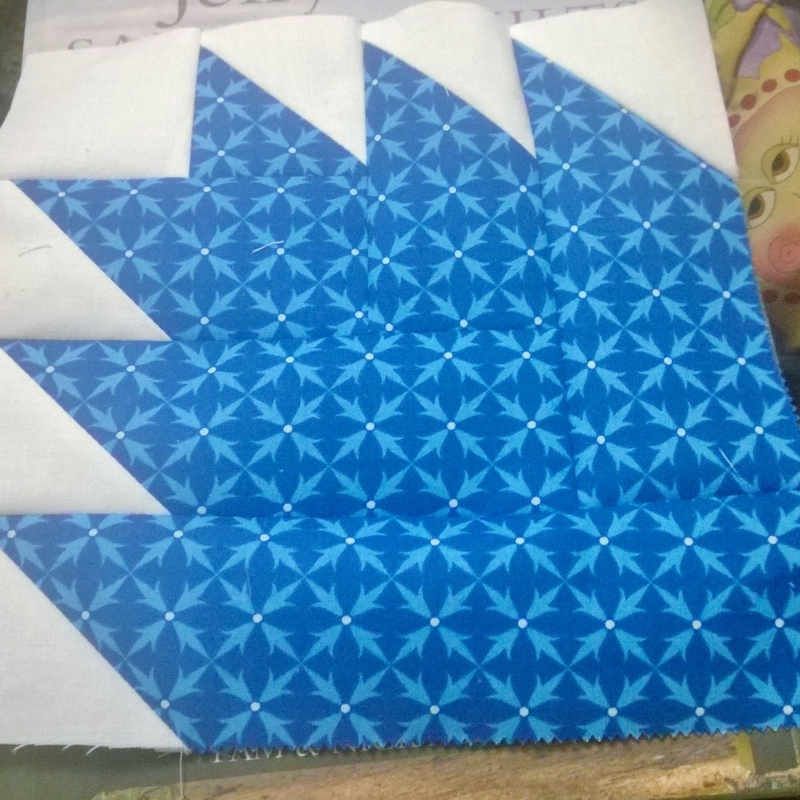 I have never tested a pattern before and I found it very challenging. 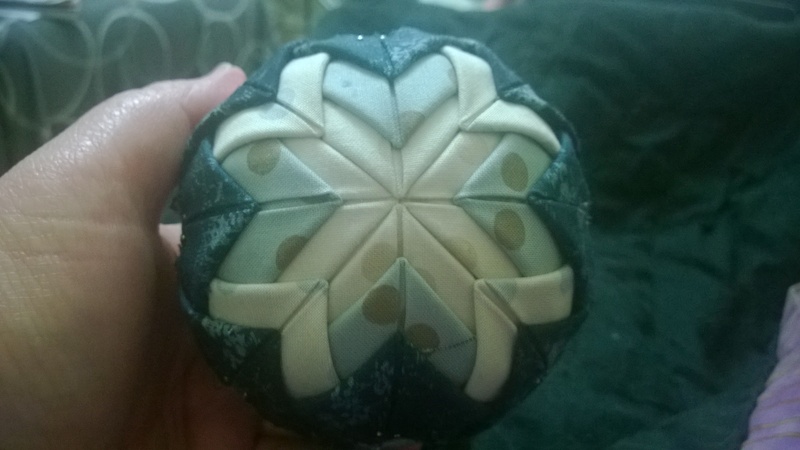 It made me release how much work is put into designing a pattern. 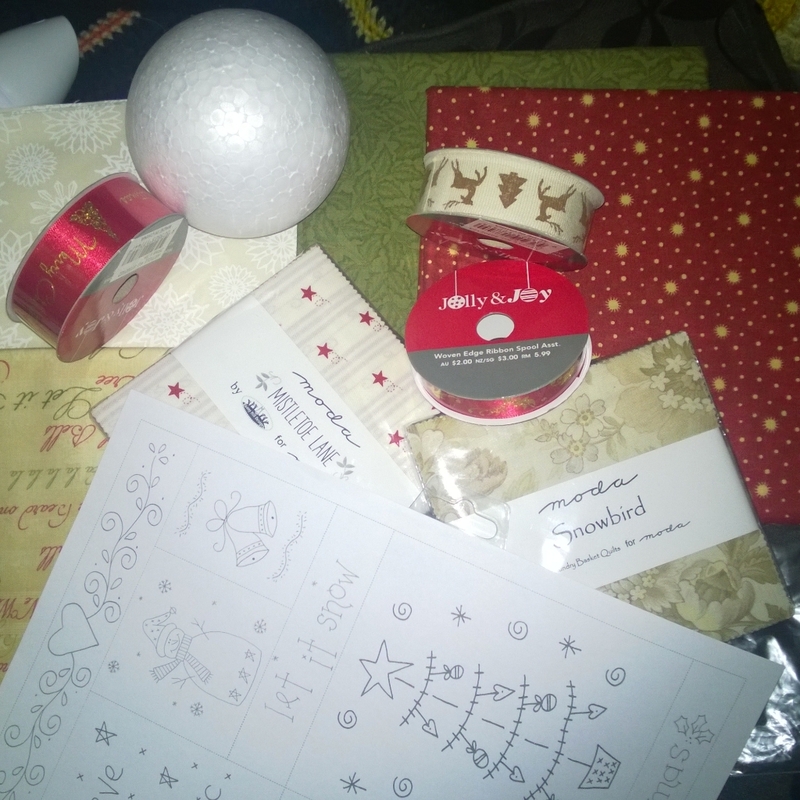 The pattern was lovely and I was very happy with what I have done so far. The range I used was Fancy and consisted of pineapples and a Dresden Plate. It took me several goes to get the Dresden plate right. 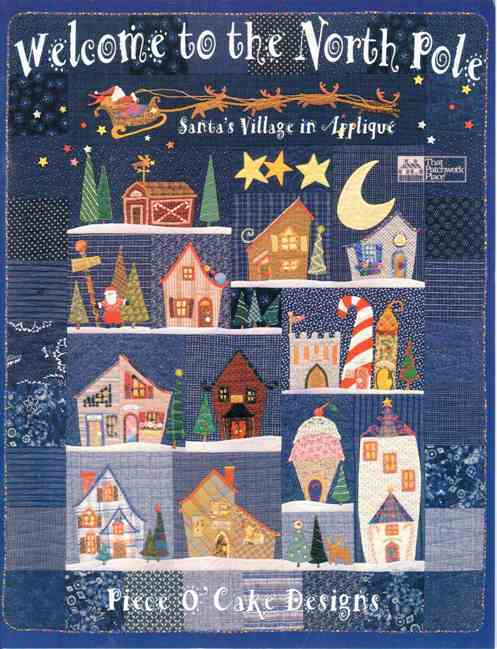 The pattern was Parade by Valarie Rigney. It seems to be the time to also pull out the baby patterns and make some more baby quilts. 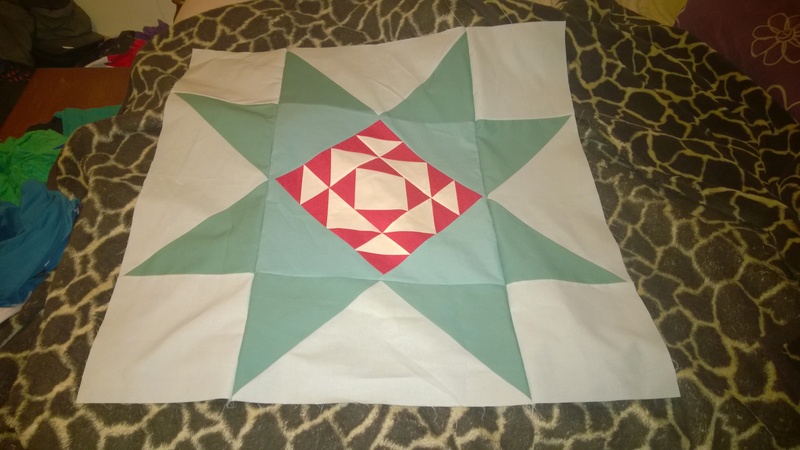 My youngest has started to make a baby’s quilt for a friend and I have 2 that need to be done. This is again another one which is a boy colour on one side and a girl colour on the other side. The range is Storytime Rhyme, and the design is again Through the looking glass. Posted in Baby Quilt, Parade, Pattern Test, Sarah Price, The Aqua Umbrella, Through the looking glass. Tagged Baby Quilt, Dresden Plate, Fancy, Jelly Roll, Parade, Pattern testing, Pineapple block, The Aqua Umbrella, Valarie Rigney.